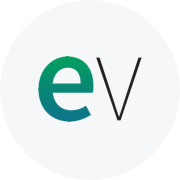 Orlando, FL – EV Connect 2017 – October 12, 2017 — EasyVista Inc., a leading provider of service management for IT organizations, today announced a technology alliance partnership with Kelverion. The two companies will work together to build the first integration pack connecting EasyVista’s IT service management platform with Microsoft System Center’s Orchestrator, Configuration Manager and Operations Manager modules as well as providing a connection to Azure Automation. Thousands of companies using Microsoft’s suite of systems management products will be able to align critical enterprise monitoring, automation and configuration capabilities with EasyVista’s ITSM Service Manager product to significantly ease the workload of IT staff. Founded in 2010, Kelverion sprung from Microsoft’s acquisition of Opalis Software. Today Kelverion has 200+ Fortune 1,000 customers, and offers System Center users—an estimated install base of 6,000+—integration and automation solutions for vital IT operations such as automated cloud and virtual machine (VM) provisioning, software patch automation and configuration management database (CMDB) population, among other operational tasks.